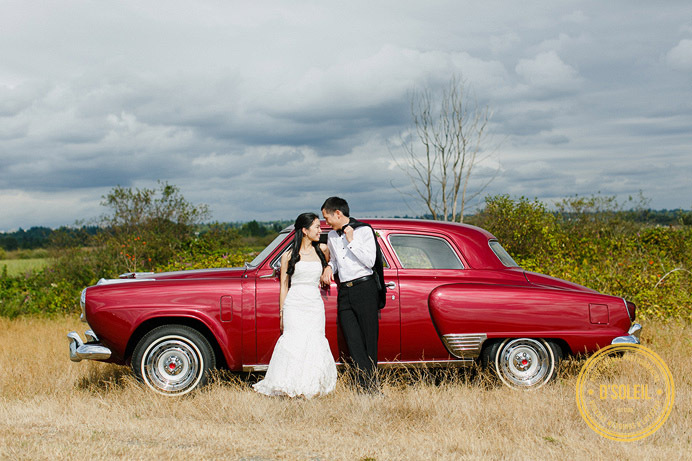 A Celebration Pavilion Wedding: Studebaker Vol 1. 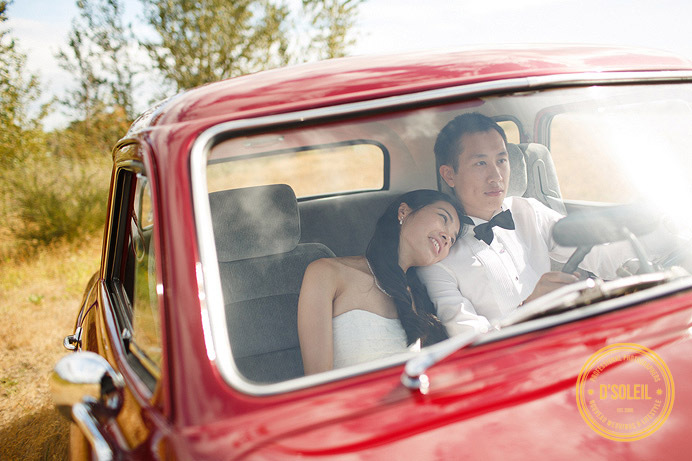 Home Vancouver wedding photographerA Celebration Pavilion Wedding: The Vintage Studebaker | Lily + Jon Vol 1. 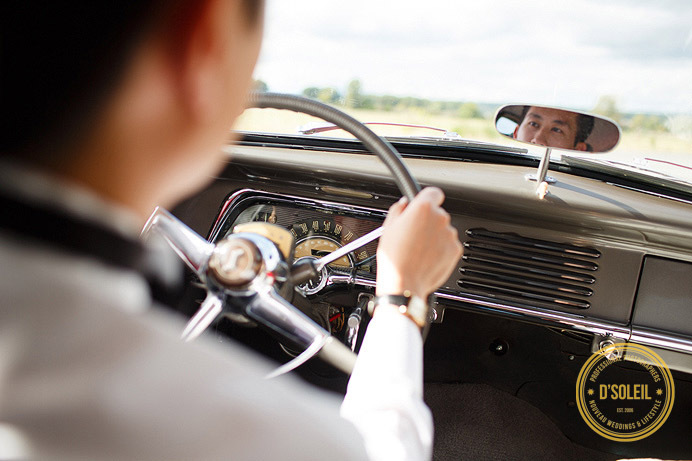 A Celebration Pavilion Wedding: The Vintage Studebaker | Lily + Jon Vol 1. 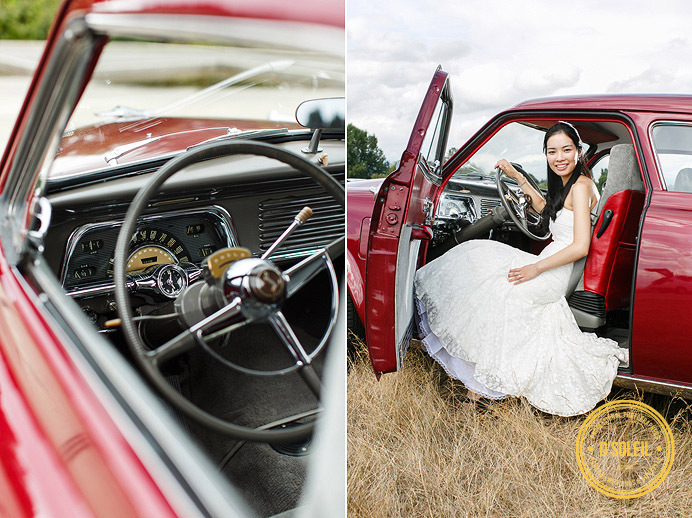 After their Celebration Pavilion wedding in Queen Elizabeth Park, we had time on hand for photos with Jonathan + Lily, and a very special vehicle that Jon got from his grandfather – a vintage car, but not just any vintage car, it was a beautifully restored vintage Studebaker. As wedding photographers, were thoroughly impressed. Lily wore a beautiful wedding dress from David’s Bridal while Jon sported a tudexo he purchased abroad. The wedding bouquet was from Queensberry Flower Co. in Vancouver. 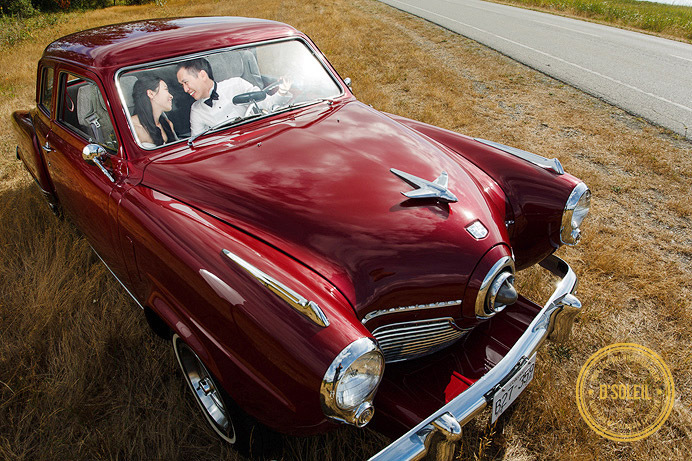 But aside from the bride and groom, the Studebaker stole the show when it came to their wedding photos. 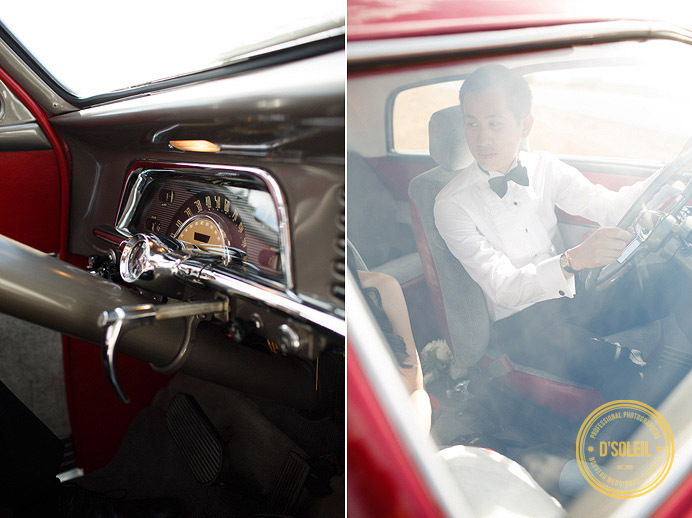 We learned later that Lily + Jon made a car trip across Canada before their wedding, visiting some very interesting tourist spots along the way (and they made a very cool music video about their trip, which they showed at their wedding reception at Sun Sui Wah Restaurant), so it seemed so appropriate that we made photos with a beautifully restored vintage car on their wedding day. The weather held out just enough for us for create a beautiful set of images with them. This last photo in the set has got to be my favourite. 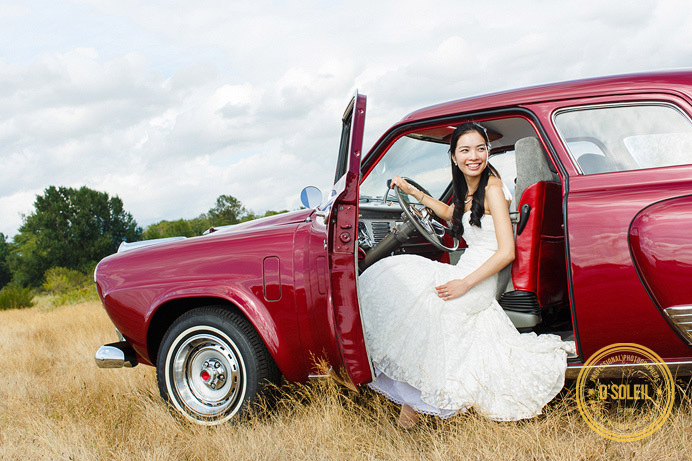 Somehow, it invokes a vision of Jonathan and Lily driving across Canada on their big adventure before the wedding – a trip I’m sure is special to them, and one that impressed everyone at the wedding. More photos from this wedding to come in a future post. 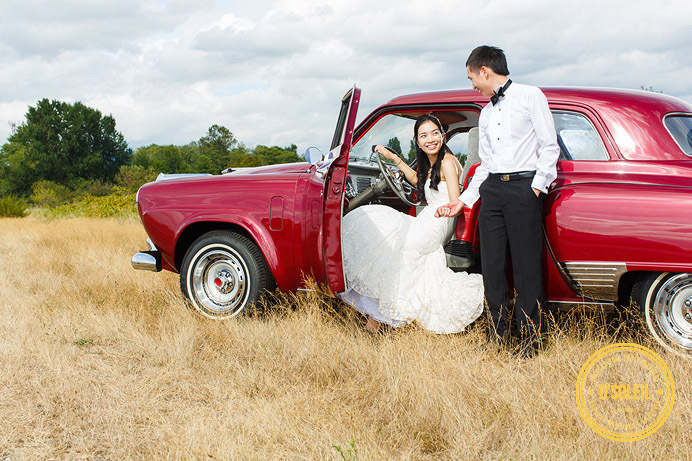 If you’re looking for a Vancouver wedding photographer, please contact us for availability and rates. Great work. I love the shots through the glass, fantastic light. What an awesome couple! These are some really fun portraits and I love how bright they are! Fabulous work! What an awesome car and a great shoot! 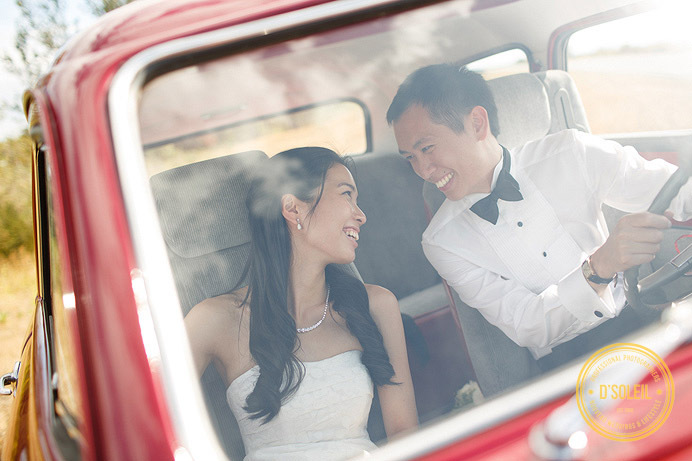 Super cute couple and what an fun prop that car is! Fantastic work! Great concept! I love how happy the bride and groom look in these photos. Very, very cool! Sweet shots! Love the ones through the car window! Aw, such a sweet set! aw they are so cute! What a great shoot! Thank you Sandy! Yes, the reporter contacted me about the wedding photos to use in that Vancouver Sun/Province article. It’s a great story!